This is a long time coming for PMEs who draw a monthly paycheck of more than $4,500. The last time the Employment Act (EA) was amended was in 2014, to protect PMEs earning a basic monthly salary of up to $4,500. The 2014 amendment allowed this group of PMEs to receive sick leave benefits and protection against unfair dismissal. The median gross monthly salaries of workers stood at $4,056 in 2016 and the gross monthly salaries (50th percentile) for residents stood at $5,910 in June 2016. That means, PMEs earning between $4,500 and $6,000 would not have been protected by the law based on the 2014 EA amendment. Labour MP Patrick Tay, in a blog post published in Jan, pushed for the $4,500 salary cap to be removed to help more PMEs earning above $4,500 per month. He shared that he has been receiving feedback/queries from aggrieved PMEs through different channels but the Labour Movement has not been able to assist them as they earned more than $4,500 a month. With this salary cap lifted, it will ensure that the Employment Act serves majority of the working population. 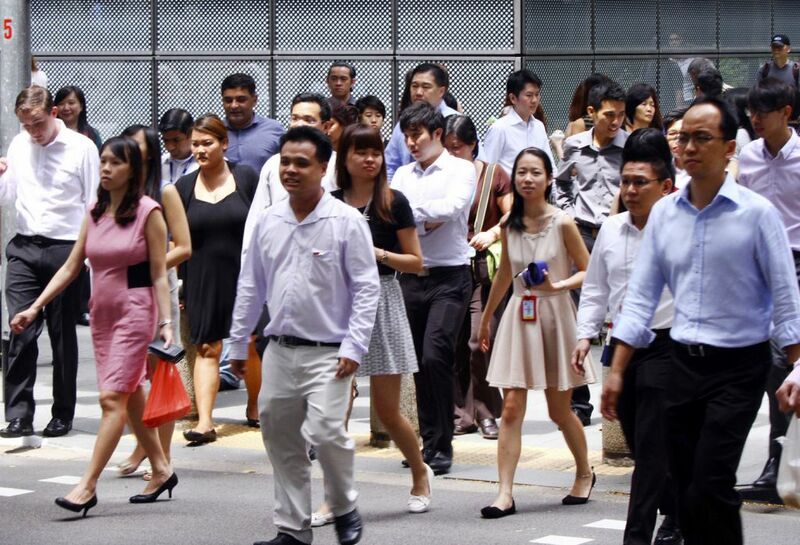 Manpower Minister Lim Swee Say announced in Parliament today that the ministry will be removing the salary cap to cover more PMEs. These PMEs will enjoy core employee benefits under the EA such as redress for wrongful dismissal, public holiday and sick leave benefits, timely salary payment and allowable deductions. This move will benefit an additional 430,000 PMEs. There is a total of 720,000 PMEs in the workforce currently and they make up 56 per cent of the local workforce. It will go up to 65 per cent by 2030. Also, both salary-related disputes and wrongful dismissal claims will be heard under the Employment Claims Tribunal (ECT) as part of the Employment Act changes. This was also advocated by Tay who said the Labour Movement saw more cases of workers especially PMEs facing unfair/wrongful dismissals. Currently dismissal-related issues are handled by the Ministry of Manpower and the ECT does not have jurisdiction to hear wrongful/unfair dismissal cases under the EA.